CNN speaks with Fareed Zakaria about the killing of three Israeli teens and a Palestinian youth, the role of social media in the Middle East, and the prospects for a peaceful resolution to the crisis. This is an edited version of the transcript. 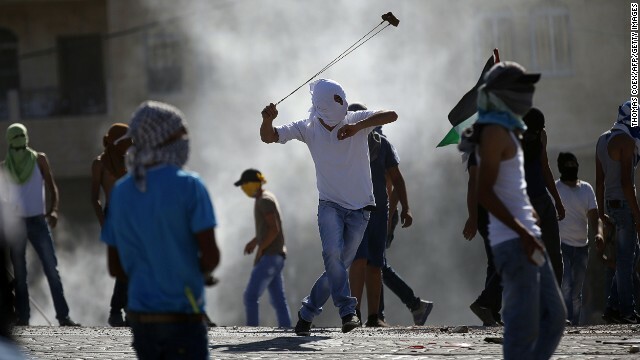 The violence and the tension between Israelis and Palestinians is nothing new. When did it get to the point that killing innocent teenagers is part of this? Unfortunately, there’s a long history of terrorism. Palestinians regarded it as a resistance to what they see as an illegitimate occupation. Of course, Israelis regarded it as terrorism. What I think is new here, which is very troubling, is that people are using the new tools of technology, social media, and you're beginning to see radical fringe elements that are able to organize, galvanize support. So what happens after the horrific murder of these three Israelis is you see Israeli right wing extremist groups go on Facebook and create sites that basically say, let's kill Arabs. On the Arab side, on the Palestinian side, you've had similar kinds of incitement. It's as if we sometimes think that these technologies are somehow going to make everybody get along and cooperate. And instead what's happening is that it's creating a poison within the body politics of both sides, and it's going to be very difficult to walk this down because it's out there now. Prime Minister Netanyahu has called for calm. Everyone on both sides is calling for calm on this. But can they keep a handle on this, especially when you talk about how now you have this social media element? You know, this is the thing we've discovered about all social media. The costs of organization, as it were, have dropped dramatically, so while governments can say "we will monitor rallies," "we will monitor things like that," what do you do about a Facebook group that gets 35,000 likes within a few hours? And the problem here is that it creates an atmosphere within which these politicians have to deal. We all know the end point for the Israeli-Palestinian process is simple. Everybody knows it. It's a two-state solution. We know roughly what the contours of those state would be. The problem getting there involves a lot of painful concessions on both sides. And so when you have these kinds of events, it makes the Israelis much less willing to make concessions, it makes the Palestinians much less willing to make concessions. So in some ways, it's a few people, it's individual tragedies. But it sets back the cause of peace dramatically. And doesn't it just take that spark to ignite something once again? I would say it's unlikely, only because there's such an imbalance of power, to put it bluntly. The Israelis really have such complete military force dominance. The wall has brought down the incidence of terrorism by over 99 percent. So what you're going to see probably are these kinds of individual acts, horrific and in a sad way because there is less of the other kinds of protests or terrorism. You will see these more gruesome, more horrific, more spectacular one shots once in a while. It's what we all worry about with regard to this stuff. But it's almost like there's no escape valve, and there's no hope for people, so that you see this and then you see some retaliation, some kind of revenge killing. Israeli Justice Minister Tzipi Livni has been very, very strong on this, saying, look, if this is a revenge killing, that is illegal. It's terrorism. It has to be punished. Israel is a state of laws. And we need something like that on the other side, some sense of being able to assert the importance of institutions and not allowing vigilante violence rule the day. How does this fit into the broader instability in the region – in Syria, especially in Iraq? I mean, what's happened over just this week in Iraq has been really astonishing. A parliament completely incapable of getting its act together and the violence continuing. At the end of the day, the only way you're going to get a Palestinian state is if the Israelis feel comfortable and secure enough to allow one to be created. In this atmosphere, Iraq is collapsing. Syria is burning. Fears about what’s going to happen in Lebanon. Israelis feel, understandably, insecure. What do you make of what's going on in Iraq this week? You have the line coming from the Obama administration, which is that Iraq needs to form a unity government before it can get any real U.S. military support, although we're seeing more military heading over there. But then you see the first attempt at that completely failed in spectacular fashion. Well, clearly the line that the Obama administration is urging is correct. But I think that at the end of the day, this prime minister isn't going to do it. He's not the guy who's gonna be able to do it. He's the guy who sent out arrest warrants for Sunni politicians. He's the guy who reneged on every deal that the Americans made. He's also the guy with the majority seats right now. He has a majority coalition, and so there are a lot of coalition members who could defect. You could see that it might change. The last time around, by the way, he wasn't in the majority, and he managed to finagle – with the help, frankly, of the United States and Iran – to kind of cobble together a coalition. Because he presents himself as a strong man can govern Iraq. More from CNN: Did Obama botch Iraq endgame? Well, it's clear, he can't govern Iraq. He's created an insurrection, rebellion, and he's brought al Qaeda into Iraq. So one would hope that people see that. Most importantly, I think the United States is correct to say, if you don't do that, you don't get substantive American help. Because remember, he has 650,000 men under arms. He has a defense budget of $17 billion. He's got the firepower and men he needs. What he doesn't have is the right political environment. So you've got this statement and a position coming from the Obama administration in Iraq. Is there something more between Israelis and Palestinians that the United States should or can do? It seems that what we've heard from Secretary Kerry and President Obama so far is what we often here: The two sides need to come together. Is it too dangerous for them to step in the middle of this? Right now, probably it is. But I think that they've always been people who felt that maybe what the United States could do in the Israeli-Palestinian situation, at some point, is say, look, we all know what the end point is going to be, and we're going to present you a plan – an American plan – to end the occupation and create a Palestinian state. Here's what it's going to look like. Here are the parameters. Why don't you guys get together and discuss these final modalities, final points, of how would you do the land swaps so that Israel can keep its major settlements? How would you carve out a space in the east Jerusalem area so that the Arabs can feel that they have a capital there? But put it all out on the table. Say we're not going to spend three years negotiating this. We know what it looks like. Why don't you guys do it for six months? I don't know either side is ready for it now. The problem in the Israeli-Palestinian case is people often say there's no light at the end of the tunnel. There's light. There's just no tunnel. There's no way to get from here to the obvious solution. « Previous entryWhere is el-Sisi taking Egypt? Middle East politics were poisoned long before social medial came along, and will remain poisoned long after social media is obsolete. It's not the medium – it's not even the message – it's the messengers. Whether they use smoke signals, social media, radio, television, or telepathy, the whole region is poisoned by hate. Social media is the least of their problems. Who put the US in charge of the entire world's borders? Why should the US be able to present it's plan to both sides just because from the comfort of the other side of the world it is the 'obvious' solution. Why is the US so insufferably arrogant to think that they, and they alone, understand the intricate politics and national and religous semantics that play into every world conflict – whether in the middle east, the far east, or eastern europe? Tell me, if Russia ordered Obama and some Catel lord to sit down and figure out how to finalize a two country solution to the refugee problem – by giving the refugees all the historicly disputed territory in Texas and Arizona, would you take kindly to that idea? Because almost all of Texas south of San Antonio, and various other chunks of the border region were never officially given up by Mexico (Unlike the West Bank and Gaza which Jordan and Egypt specifically didn't want back) and they never relenquished their claim to those lands – they were simply too weak in the face of the US military to assert their ownership of those chunks of land. How many of the nationalist border vigilantes do you think would say "hey! great solution! we'll just give all the refugees that disputed territory to make their own country with! problem solved!!" I'll tell you how many: 0. So even if your solution makes perfect sense to you, you should just be aware, that from the other side's point of view, it makes about as much sense (possibly less) as my proposal to solve the immigrant problem in the US. Nobody put the US in charge. Both Israel and the Palestinians take the US seriously as a broker. Is that so? It seems to me that Egypt has accomplished much more as a broker than the US. .....seeing is believing ! The Israeli Lobby could no longer could lie to the American people !! The USA is not a neutral third party in this conflict it is part of Israel.It sort of looks like this , you have the world that supports a two state solution based on the 1967 ceasefire lines with minor and mutual land swaps, and you have the US and Israel saying International law be damned we want to create a non viable Palestinian state and all the settlements and good bits should go to Israel.The US and Israel maintain an impossible position , we havent even talked about the right of return of Palestinian refugees. "what you're going to see probably are these kinds of individual acts, horrific and in a sad way because there is less of the other kinds of protests or terrorism." 'Not sure I understand this. How is terrorism not a horrific act? How is the killing of civilians at a market or bus stop any better than kidnapping and murder? As for a U.S. imposed solution, it would probably backfire with both parties thumbing their nose at the Obama administration. Our president made sure these talks were kept secret. Even now we don't know what went wrong. We negotiated peace with the parties for almost a year with no results. It appears both sides prefer the status quo to making concessions necessary for a Palestinian state. There's nothing to do but hunker down and accept the status quo for now. Israel doesn't want to give up security. Palestinians don't want to concede land. This is a result of acts of violence, and how it does not promote mutual understanding, which is what will need to happen if a solution forms. If a solution existed, which it does, neither party represents a willingness to see it. As Einstein has said you can't solve a problem on the same level of understanding it was created. There are powers in the world which benefit from conflict.